Ahmed not only met us at the airport, but insured they found our lost luggage with his professional persistence. He also made certain our 1st day and night were excellent. Talem made certain we had all our requests handled quickly and showed us every detail for 3 entire days in Cairo. Eltaib was the best guide we've ever experienced for 4 full days as we journeyed down the Nile on a cruise we'll never forget. Absolutely amazing tour! Starting from the first day getting picked up from the airport we had an amazing adventure. All the accommodations were excellent and the flights were all well planned. Shout out to our representative Ahmed and our two Egyptologist/Guides Walid and Ibrahim! I thought everyone did a superb job and we got to get to know each one of them personally as a friend. Ahmed was super friendly and gave us excellent advice on things to do in the city. Both Egyptologists knew a lot and took us to really amazing places that we were lucky enough to not be crowded with tourists. Magdy and his staff were wonderful. Everything was very professionally arranged and managed. We had extra days, Magdy customized the itinerary to suite our liking so we thoroughly enjoyed every aspect of it without getting stressed for time, and we utilized the time very effectively. All the guides and representatives were very knowledgeable, helpful and courteous - special mention to Ibrahim, our guide for Luxor/Aswan, he was absolutely amazing and like a dear friend. He went out of his way by making special arrangements and even helped with matters on the cruise ship. Egypt is an enchanting place, but it was be even more memorable due to the excellent vacationstogo team. We had a fantastic tour guide Hani who took care of everything. Our flights group of 4were delayed a whole day, so we missed the first day of the tour. However, at no expense to us, the tour company provided for us the same tour we missed the first day. I was amazed that the tour company was so generous that even though it was the airlines' fault we were late, the tour company provided us a full extra day of sightseeing and a delicious restaurant lunch at no additional expense. I would definitely recommend this tour. It is a terrific travel bargain and the hotels and restaurants are first rate. The papyrus and carpet shops we were taken to provided high-quality merchandise. The coordination between guides, drivers, and hotels is fluid. I felt secure and confident about every aspect of this trip. This was the first time when we were going for a trip arranged by a trip planner as we generally prefer planning ourselves. I must say this experience really changed our view for self vs tour guide trips. Especially for a place like Egypt: where most of the travel is related to history AND where public transport is not very well managed - it makes a lot of sense to take a tour company and really enjoy your trip vs struggling in small matters daily. Would specially like to thanks Ahmed coordinator and Mohammad driver, who were the main company representatives assigned to us. They were really friendly and very much caring for us. It was also amazing that the company provided free WiFi in the cars and trust me good internet is a big issue in Egypt as a lot of travel happens in the car during whole trip. Big thumbs up for this guys !! Would also like to thank all our tour guides who are actually government Certified Egyptologists - they were extremely educated with rich egyptian history and were able to answer weirdest of our questions. For us, Cairo was covered by Bassem, Aswan-Luxor by Ahmed and Alexandria by Nancy. We recommend all three of them for an amazing jolly time trip. You can always ask for them while planning your trip with the company. - Keep sharing feedback with Ahmed during the trip as he changes things on-the-go to ensure all your expectations are met. - In case you prefer more personal trip request for one and the company will arrange a complete trip just for your family. This also ensures that you can change the itinerary as per your immediate needs even in middle of the tour.  - Ask many questions to the guides. Interactive tours bring the best stories out and make great tours possible. - Keep revising what you learn in history. As the trip progresses all dos begin to tie back and it really makes an amazing experience if you remember the things from past tours. - Tipping is a big culture in Egypt. Understand this in a good way from Ahmed when you land in Egypt and then use your discretion for managing it over rest of the days. Do not stress yourself with this culture. - Please do NOT book Le Meridian Pyramids property for Cairo trip. I understand that you guys book it for the amazing pyramids view from hotel room but this particular property just not matches up the name. The Kempinski on Nile river is a much better option. - Please remind the tourists about the tipping culture in Egypt ONLY once and then leave rest on their personal discretion. Ensure that all people in the tour from company side who interact with tourists understand this and maybe only Ahmed who is the main coordinator and meets us first when we land in Egypt talks about it. - Ensure that you always maximise the checked in time and minimise the checked out time for tourists we understand that some adjustments are bound to happen as the overall trip covers 7 different cities in Egypt. In our case, the last day in Luxor on Nile cruise could have been managed better. What an awesome trip!! Representatives expedited all entries and departures and we felt safe at all times. The Nile cruise, Aswan and Luxor were the highlights of the trip. Our guide Mustafa was excellent - when we requested an additional tour he tailored it to fit our interests and took special care with one of our group who had a strained knee. The additional trip to Alexandria was a disappointment- long drive with little to see and do. Also the constant need to calculate and deliver tips was annoying. I would strongly recommend everyone to enjoy Egypt and all it's wonders. Highly recommended. We had an amazing time. Everything ran like clockwork. The staff especially the guides were so knowledgeable that they brought Egypt history to life. We visited most of the major sites and the optional tours and activities were managed well. 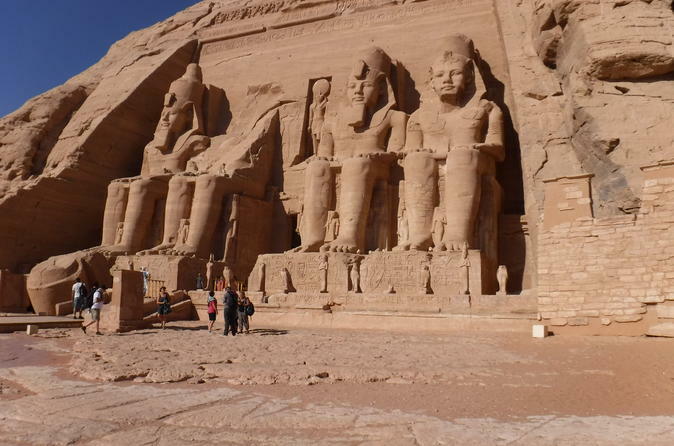 If you do this tour, make sure you go to Abu Simbel and the balloon ride in Luxor. Both are well worth the early starts and the extra dollars. 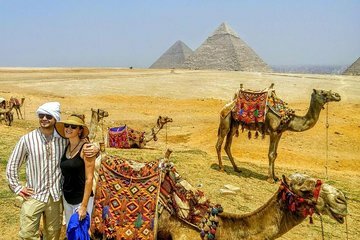 Este tour cubre todo lo mejor de Egipto en el mínimo de días. La agencia con la que trabaja Viator Vacation to go Travel fue excepcional! Los guías eran todos educados de la facultad y tenían mucho conocimiento de la historia, pero ademas acomodaron nuestras necesidades y paradas extras para que hiciéramos todo lo deseado. Realmente un tour que vale la pena y a un precio totalmente razonable. Los hoteles eran buenísimos, algunos literalmente lujosos y sus localización perfecta, como mirando las pirámides o en una isla en Aswan. Recomiendo este tour de 10 días !!! We took the 10 day tour starting March 26, and from beginning to end Magdy and his team provided personal service that insured that our trip was comfortable, safe and everything we hoped for in our Egypt adventure. Local guides Tamer and Ebrahim were dedicated to educating us in history, culture and current events. Hotels were fabulous, mostly thanks to current US exchange rate. We enjoyed side excursion to Abu Simbel, completely worth it. Make sure you see King Tut's tomb in valley of the kings.